The duodenum is the first part of the small intestine that leads from the outlet of the stomach. It is about 12 inches (30 centimeters) long and curves into a C-shape. The end of the duodenum is then continuous with the second part of the small intestine known as the jejunum. Lying in such close proximity to the stomach, and receiving the partially digested stomach contents along with the digestive enzymes and gastric acid means that the duodenum has to withstand a significant amount of chemical irritation and injury. At the same time, strong digestive enzymes mainly from the pancreas empty out into the duodenum to continue chemically digestion of food. The duodenum is therefore at risk of becoming injured and inflamed giving rise to a condition known as duodenitis. Duodenitis is the medical term for inflammation of the first part of the small intestine known as the duodenum. It is largely similar to gastritis, inflammation of the stomach lining, and in most cases these two conditions occur together. As with gastritis, there are different types of duodenitis but all stem from the recurrent irritation of the mucosa lining of the duodenal wall. Often this progresses to the formation of duodenal ulcers which are open sores in the inner lining of the duodenum. The duodenum has several mechanisms to counteract the highly acidic stomach contents that constantly empties into it. The two most important such mechanisms are the large amounts of mucus and the alkaline secretions and water from the pancreas and gallbladder. A special type of compound gland in the walls of the first part of the duodenum known as Brunner’s glands secrete large amounts of alkali mucus to neutralize the acidic stomach contents. This mucus also helps coat the inner wall of the duodenum thereby separating it from the digestive enzymes and gastric acid. Bile secreted from the gallbadder, which is alkaline, also helps two neutralize the stomach acid that enters the duodenum. Large amounts of water secreted from the pancreas which accompanies the pancreatic enzymes helps to dilute the stomach acid. Despite these mechanisms, the duodenum is not entirely impermeable to the effects of the acidic stomach contents and digestive enzymes. The inner lining of the duodenum rapidly regenerates to constantly heals any injured areas and replace eroded portions. Duodenitis essentially occurs when these compensatory mechanisms and regenerative abilities of the duodenum are compromised or insufficient to deal with the extensive insult to the wall of the duodenum. Duodenitis may arise suddenly and persist for short periods – acute duodenitis. The symptoms are often severe in these cases. Chronic duodenitis persists for long periods of time – months and even years. It is often asymptomatic for most of the time with short phases of severe symptoms. Duodenitis can be categorized according to the extent of the injury and inflammation of the duodenal wall. Similar to gastritis, it may be either erosive or non erosive. Erosive duodenitis is where the inflamed duodenal wall becomes eroded and open sores form. Non-erosive duodenitis is where the wall is inflamed but there are no erosions. Duodenitis is also classified according to its location. In these instances it may be classified as bulbar or post-bulbar. 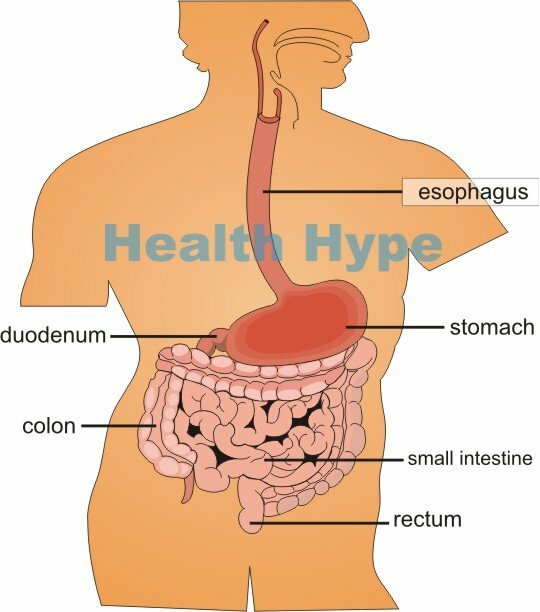 This is in reference the the duodenal bulb which is the first part, about 2 inches (5 centimeters), of the duodenum lying directly next to the pylorus of the stomach. Bulbar duodenitis is where the inflammation is localized to the duodenal bulb. This is the most frequently affected area, particularly the anterior (front) part of the wall. Post-bulbar duodenitis is where the inflammation is seen in the parts of the duodenum after the bulbar portion. It may in turn be classified as proximal postbulbar duodenitis if it occurs in the parts closer to (but not within) the duodenal bulb or distal postbulbar duodenitis when it occurs farther away from the duodenal bulb towards the jejunum. Increases gastric acid secretion – quantity or acidity (lowers pH). Compromises protective mechanisms in the duodenum. Irritates and/or infiltrates the lining of the duodenal wall. The causes of duodenitis are largely the same as gastritis. The two most common causes are H.pylori (Helicobacter pylori) infection and excessive use of NSAIDs (non-steroidal anti-inflammatory drugs). Other causes may be less common but need to be taken into consideration as well. Helicobacter pylori (H.pylori) is a type of bacteria that commonly causes gastritis. It is able to withstand gastric acid and burrows into the wall of the stomach and duodenum. It also compromises the mucus secretion and increases gastric acid secretion. Non-steroidal anti-inflammatory drugs (NSAIDs) are the most commonly used medication. It can increase gastric acidity and compromise the mucus barrier. This is most likely to occur with long term use of NSAIDs or excessive use even in the short term. Commonly used NSAIDs includes aspirin, ibuprofen and naproxen. Some of the factors may not cause but rather exacerbate duodenitis thereby worsening symptoms. Substance abuse like alcohol and cocaine. Infections other than H.pylori – viruses, bacteria, fungi or parasites. Giardiasis which is an infection with the Giardia lamblia intestinal protozoan is one such infectious cause of duodenitis apart from H.pylori. Abdominal pain – usually upper middle abdominal pain which may vary from a dull gnawing ache to severe burning pain. Nausea with or without vomiting. If there are bleeding duodenal ulcers then the vomitus may have a coffee ground appearance (hematemesis). Change in appetite, usually a loss of appetite, as eating may exacerbate the pain. Excessive gas noted by excessive burping (belching). Melena – dark tarry stools due to presence of degraded blood. Erythematous : red and inflamed duodenal wall. Focal : the most severe inflammation is isolated at specific patches or spots. Ulcers : open sores which may be superficial, deep, small, large, single or multiple. Confluent ulceration : the ulceration is widespread with large ulcerated patches joining and become somewhat continuous. The affected area may be in the duodenal bulb or the portions of the duodenum lying after the bulb (post-bulbar). Endoscopic investigation also has the advantage of identifying other pathology in the duodenum, like growths, and for the collection of duodenal tissue (biopsy) for further microscopic examination. The endoscopic video below is of a case of severe erosive gastritis. Treatment involves both medication and conservative measures. Antibiotics are effective against H.pylori, Giardia lamblia and other bacteria and protozoa. H.pylori eradication may require prolonged use of two antibiotics and sometimes more than one course. Acid suppressing drugs such as proton pump inhibitors and H2-blockers are usually also prescribed. Bismuth-based drugs (like bismuth subsalicylate) which coat the intestinal lining and help reduce inflammation. Additional foods that are known to be irritants should be avoided as well.